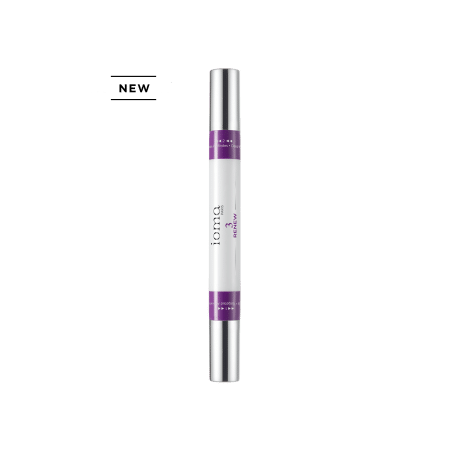 We know that you care about your personal data and how it is used, and we want you to trust that INTUISKIN, owner of the IOMA brand uses your personal data carefully. This Privacy Notice will help you understand what personal data we collect, why we collect it and what we do with it. As you read our Notice, please keep in mind that it applies to INTUISKIN, owner of the IOMA brand, as defined below. 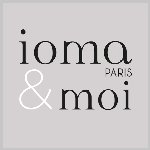 Please take a moment to familiarise yourself with our privacy practices and let us know if you have any questions by sending us an email customerservice@ioma-paris.com. 1. Who is collecting it? Any personal data provided to or collected by INTUISKIN SAS is controlled by INTUISKIN SAS, Parc Activillage des Fontaines, ZI Bernin, 38926 CROLLES, FRANCE (the data controller). This Privacy Notice applies to personal data collected by INTUISKIN SAS in connection with the services and products we offer. References to “INTUISKIN” in this Notice means INTUISKIN SAS, owner of the IOMA brand. This Privacy Notice also applies to INTUIKSIN’s marketing content, including offers and advertisements for INTUIKSIN products and services, which we (or a service provider acting on our behalf) send to you on third-party websites, platforms and applications based on your site usage information. These third-party websites generally have their own Privacy Notice and Terms and Conditions. We encourage you to read them before using those websites. 2. What personal data is being collected? Personal data means any information that can be used to identify directly or indirectly a specific individual. This definition includes personal data collected offline through our Consumer Engagement Centres, direct marketing campaigns, sweepstakes and competitions and online through our websites, applications and branded pages on third-party platforms and applications accessed or used through third-party platforms. You may be asked to provide your personal data when you are in contact with us. The above-mentioned joint data controllers may share this personal data with each other and use it in a manner consistent with this Privacy Notice. We may also combine it with other information to improve our products, services, content, and advertising.You are not required to provide INTUISKIN the personal data that we request, but if you choose not to do so, we may not be able to provide you with our products or services, or with a high quality of service or respond to any queries you may have. Personal data you give us directly. We collect data about how you use our services and products, such as the types of content you view or engage with, or the frequency and duration of your activities. We also collect personal data you provide us when you sign up for a marketing newsletter, complete a survey or register for an account to buy our products. In so doing, we may ask for personal data, such as your name, gender, date of birth, address, email address, telephone number or credit card details. Some INTUISKIN brands may collect “ special categories of personal data” about you with your explicit consent. For more information on the special categories of data we collect and how we use it, please refer to the relevant section below. Personal data we collect from other sources. We collect personal data from other sources including our trusted partnerships with third-parties and where we operate INTUISKIN accounts on third-party platforms: For example, when you use the “like” functionality on Facebook or the +1 functionality on Google+. Additionally, we receive information about you and other visitors’ interactions with our advertising to measure whether our advertising is relevant and successful. We also collect information about you and your activities from a third-party when we jointly offer services or products, or from third-party data enrichment providers (to find out more see our privacy key terms here) who may deliver insights to INTUISKIN about the personal data we hold. Certain categories of personal data, such as race, ethnicity, religion, health, sexuality or biometric data are classified as “ special categories of data” and benefit from additional protection under the European data protection legislation. We limit the circumstances where we collect and process these special categories of data.INTUISKIN sometimes collects data related to your skin type to send you tailored ads and relevant promotions. INTUISKIN only collects and uses this personal data where you have provided us with your consent for us to do so. In some instances, you may have requested services or products that do not directly involve the collection of any special categories of data, but may imply or suggest your religion, health or other special categories of data. To illustrate circumstances where INTUISKIN collects and processes special categories of data we have provided the following examples:INTUISKIN collects sun exposure habits, skin tone conditions in its website in the account page. to provide consumers with ads and promotions for products which are relevant to their needs. 2.3. How do we protect children’s privacy? We understand the importance of taking extra precautions to protect the privacy and safety of children using INTUISKIN products and services.INTUISKIN’s website is designed and intended for use by adults only. 3. hat purpose do we use your data for? Additionally, INTUISKIN processes your personal data also using automated means. An automated decision is a decision which is made solely by automatic means, where no humans are involved in the decision-making process related to your personal data. When we collect and use your personal data for purposes mentioned above or for other purposes, we will inform you before or at the time of collection.Where appropriate, we will ask for your consent to process the personal data. Where you have given consent for processing activities, you have the right to withdraw your consent at any time. Forms you in on our IOMA A MOI smartphone application. If you have asked to receive emails, SMS or push notification communications from us, we track whether you open, read or click on the content to see what you are interested in so that we can give you more content that we think you are more likely to enjoy. We use this data to profile your likes and dislikes. For instance, if we see that you are regularly viewing specific INTUISKIN products on our www.ioma-paris.com website, and you have opted in to receiving emails from us, we might give you an update on the new complementary INTUISKIN products and skin care routines that have just hit the site for your interest, or we may tailor our web content when you visit towards things we think you’ll be most interested in. INTUISKIN uses automated emailing scenarios generating automated email campaigns based on your browsing behaviour, purchase habits, birthday. 4. Who will it be shared with? Third-party service providers. In order to carry out your requests, respond to your inquiries, fulfil your orders, honour coupons, provide you with samples, enable you to participate in sweepstakes or make various other features, services and materials available to you through our websites we share your personal data with third-party service providers that perform functions on our behalf, such as companies that: host or operate INTUISKIN’s websites, process payments, analyse data, provide customer service, postal or delivery services, and sponsors or other third-parties that participate in or administer our promotions. They have access to personal data needed to perform their functions but may not use it for other purposes. Further, they must process this personal data in accordance with this Privacy Notice and as permitted by applicable data protection laws and regulations. Business transfers. Your personal data will be used by us or shared with the joint data controllers for internal reasons, primarily for business and operational purposes. As we continue to develop our business, we may sell or purchase assets, subsidiaries or business units. In such transactions, your personal data generally is one of the transferred business assets but remains subject to the promises made in any pre-existing Privacy Notice (unless, of course, you consent otherwise). If another entity acquires us, our businesses or substantially all or part of our assets, or assets related to INTUISKIN’s website, your personal data will be disclosed to such entity as part of the due diligence process and will be transferred to such entity as one of the transferred assets. Also, if any bankruptcy or reorganization proceeding is brought by or against us, all such personal data will be considered an asset of ours and as such it is possible they will be sold or transferred to third-parties. To protect the rights, property, safety, or security of third-parties, visitors to INTUISKIN’s website, INTUISKIN’s diagnostic tools, INTUISKIN’s smartphone application, INTUISKIN or the public. INTUISKIN takes the security of your personal data very seriously. We take every effort to protect your personal data from misuse, interference, loss, unauthorised access, modification or disclosure.Our measures include implementing appropriate access controls, investing in the latest Information Security Capabilities to protect the IT environments we leverage, and ensuring we encrypt, pseudonymise and anonymise personal data wherever possible. We will keep your personal data for as long as we need it for the purpose it is being processed for. For example, where you make a purchase online with us we will keep the data related to your purchase, so we can perform the specific contract you have entered and after that, we will keep the personal data for a period which enables us to handle or respond to any complaints, queries or concerns relating to the purchase.Your data may also be retained so that we can continue to improve your experience with us and to ensure that you receive any loyalty rewards which are due to you.We retain the identifiable data we collect directly for targeting purposes for as little time as possible, after which we employ measures to permanently delete it. Where we process your personal data, you have a number of rights over how the data is processed and can exercise these rights at any point. We have provided an overview of these rights below together with what this entails for you. You can exercise your rights by sending an email to customerservice@ioma-paris.com. 8. How do you contact INTUISKIN? If you have any questions or concerns about INTUISKIN’s Privacy Notice or data processing or if you would like to make a complaint about a possible breach of local privacy laws, please do so by sending an email to customerservice@ioma-paris.com.When a privacy question or access request is received we have a dedicated team which triages the contacts and seeks to address the specific concern or query which you are seeking to raise. Where your issue may be more substantive in nature, more information may be sought from you. All such substantive contacts receive a response. If you are unsatisfied with the reply received, you may refer your complaint to the relevant Supervisory Authority in your Country. If you ask us, we will endeavour to provide you with information about relevant complaint avenues which may be applicable to your circumstances. 9. How do we keep this notice up to date? We will update this Privacy Notice when necessary to reflect customer feedback and changes in our products and services. When we post changes to this statement, we will revise the “ last updated” date at the top of this Notice. If the changes are significant, we will provide a more prominent notice (including, for certain services, email notification of Privacy Notice changes). We will also keep prior versions of this Privacy Notice in an archive for your review.We will not reduce your rights under this Privacy Notice without your consent. IP address: An IP address, or simply an “IP,” is a unique address that identifies a device on the Internet or a local network. It allows a system to be recognized by other systems connected via the Internet protocol. Cookie: A cookie is a small amount of data generated by a website and saved by your web browser. SMS: Stands for “Short Message Service.” SMS is used to send text messages to mobile phones. Push notification: A push notification is a message that pops up on a mobile device. Push notifications look like SMS text messages and mobile alerts, but they only reach users who have installed your app. More definition can be found here.